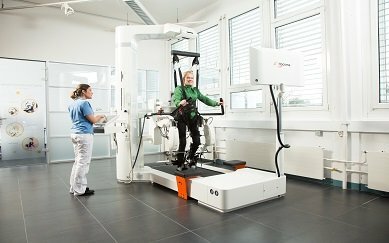 The Andago is the world’s first free-moving mobile gait robotic device developed by Hocoma, which has been combined with a body weight support system. 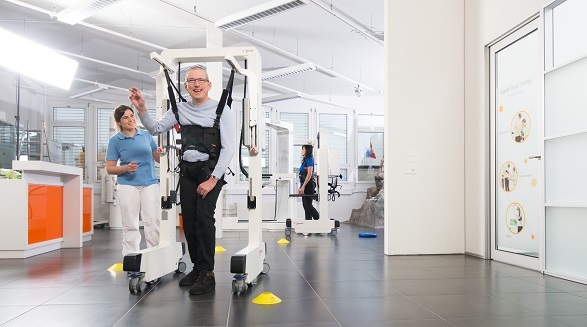 The Andago provides intensive, efficient and versatile gait therapy, and bridges the gap between treadmill-based gait analysis and the patient’s ability to walk freely and unaided. 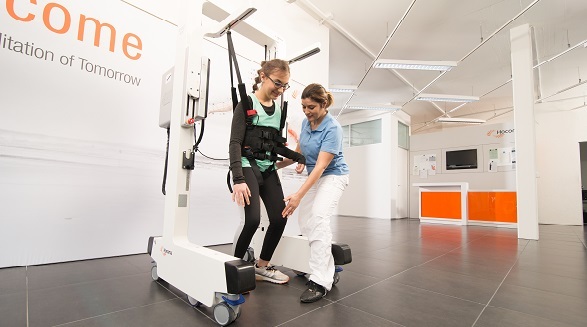 The mobile robotic technology senses the patient’s movement and actively follows them, while also providing dynamic and safe body weight support. 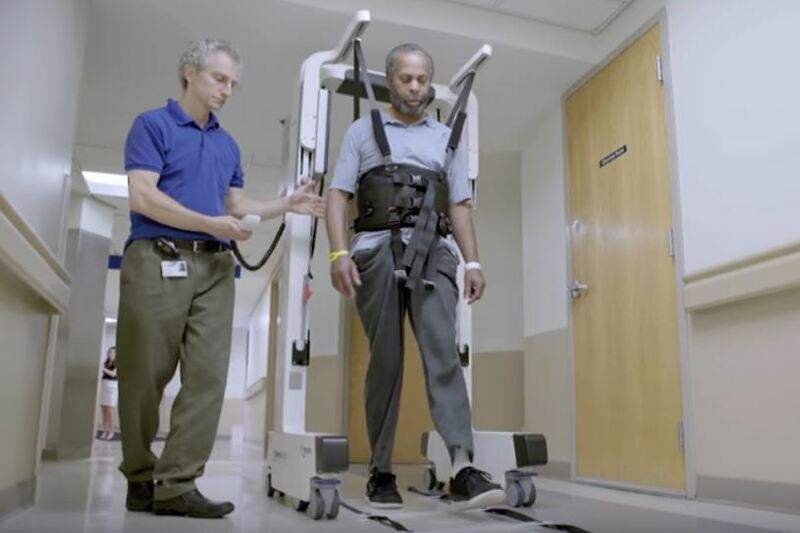 The Andago also removes the restraints of traditional gait therapy, which means that therapists aren’t exposed to physical strain and don’t have to focus on the security and stability of their patient. 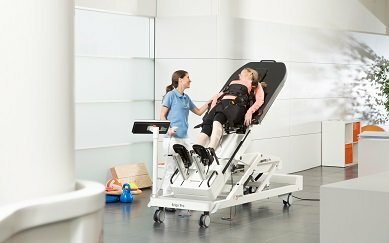 Thanks to the flexible body weight support system, your patient won’t be afraid of falling, becoming unstable, or getting injured. 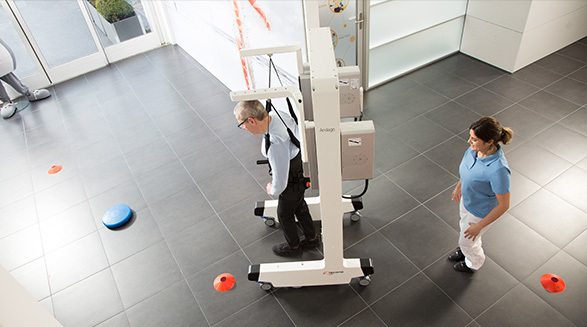 The Andago will allow them to move freely, hands-free and upright, within a safe environment. As the therapist, you can take a step back and assess their movement, providing feedback and monitoring their progress. The Andago can also be used for a variety of balance and stability tasks. Shorter than a standard door frame. Includes a patient lift for transfer to and from a wheelchair. 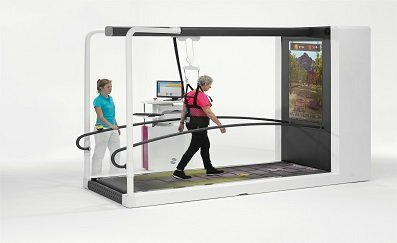 Can either be set to a straight-line mode or follow the patient as they freely walk around. Download the Andago brochure here. 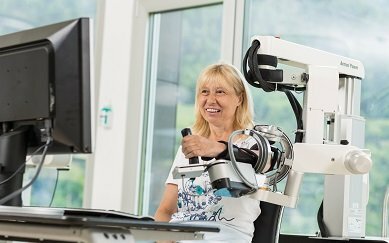 We are pleased to offer clinical trials for the Hocoma Andago in the UK. 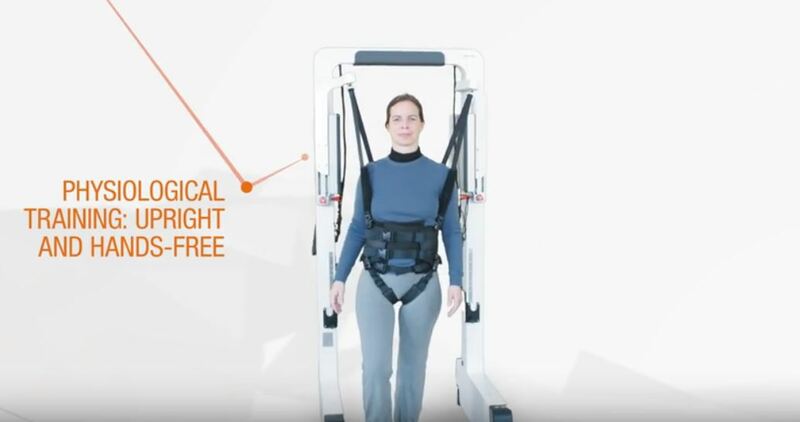 If you would like to trial this device with your own patients, contact us as we have systems ready to be installed at your clinic for a 3 month period.